I’ve never really been a fan of Kipling – not even my love of apes could ever really get me interested in their luggage. 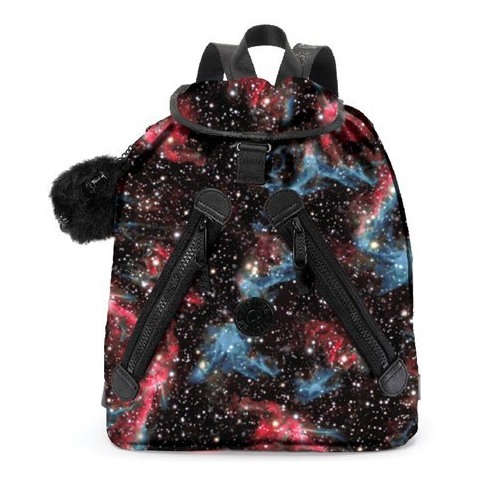 But then… stick an astro print on something, and, well, what do you know? Kipling has collaborated with Brit designer Peter Pilotto for this capsule collection of bags, purses, and accessories (bum bag, anyone? ), all festooned with a galactic print. Also available, a machine print, but it does nothing for me. You can buy the range exclusively at Selfridges – in store and online. Previous Post Eek – my Next pop-up shop is live!